Information & Referral :: Caddo Council on Aging :: Shreveport, LA. Identifying the most appropriate services to meet their needs. Linking Senior Citizens and Caregivers to agencies providing such services. 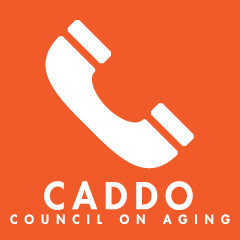 Caddo Council On Aging is proud to work very closely with the Caddo Senior Coalition. For a listing of a wide variety of services in this area, please visit our Senior Resources Directory.